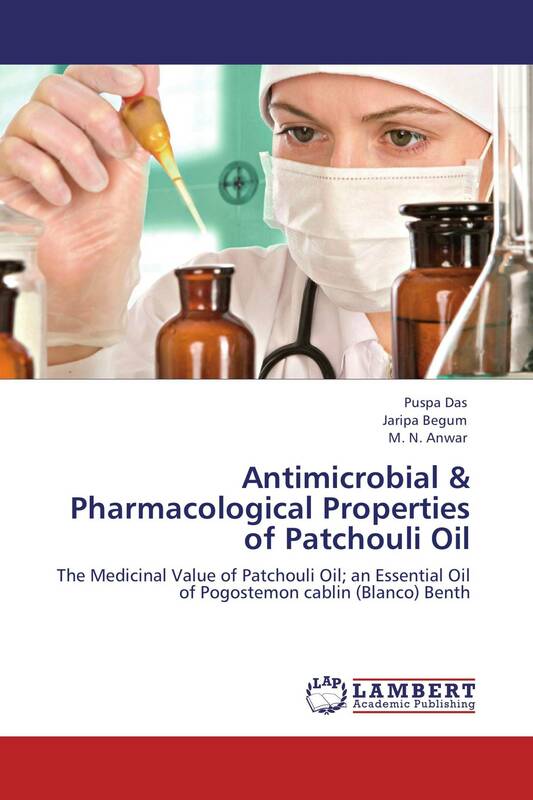 Patchouli Oil, an essential oil of Pogostemon cablin (Blanco) Benth was investigated for antimicrobial activity against a panel of ten human pathogenic bacteria and eight human pathogenic fungi using agar cup method and macrobroth dilution technique.The oil showed a significant antimicrobial activity against all tested organisms compared to standard antibiotic Ampicillin. The oil is more active against Gram positive than Gram negative bacteria. It shows good sensitivity against all human pathogenic strains of yeast and mold. Some pharmacological tests were carried out to evaluate pharmacological properties e.g. acute toxicity by intraperitoneal route; anti-nociceptive studies by acetic acid induced writhing response model, formalin induced licking response model, Hot Plate Latency Assay, antidepressant activity and anti-inflammatory activity using various animal e.g. Swiss albino mice and Wister albino rates.All tests showed a significant positive results compared with analgesic and anti-inflammatory drug Etoricoxib and Morphine. The results indicate that the oil of Pogostemon cablin would be a valuable source to find out leading compounds having antimicrobial and analgesic effect.